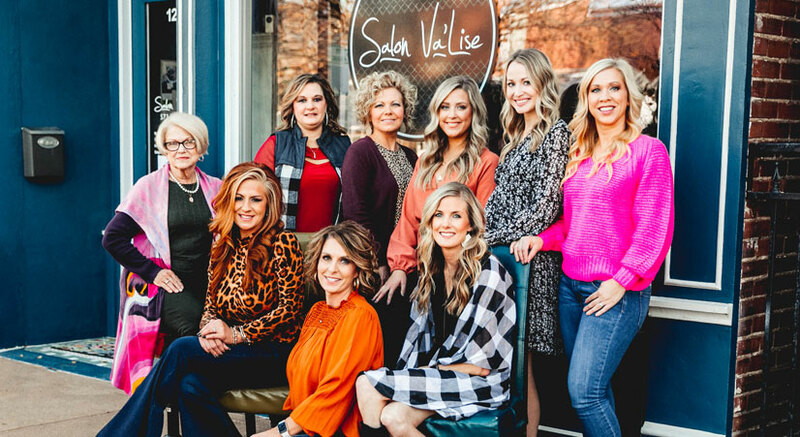 Salon Va'Lise is a friendly, upbeat salon located in the charming Old Munichberg area of Jefferson City. Our award-winning hair stylists have over 130 years of combined experience in the hair service industry and have each built a reputation of excellent customer service. All Salon Va'Lise stylists complete a minimum of four education courses each year to ensure they are current on the latest hair trends and styling technology. Our services range from haircuts for the entire family to hair-painting (balayage) and special occasion styling. To learn more about a particular service or to hear styling or service suggestions based on your hair type, please call or complete our online form to receive a free 30-minute consultation with one of our friendly stylists. We look forward to meeting you!